Days: Thursday. Event Types: Author Signings. Sectors: Illustrator. Subjects: Picture Book. 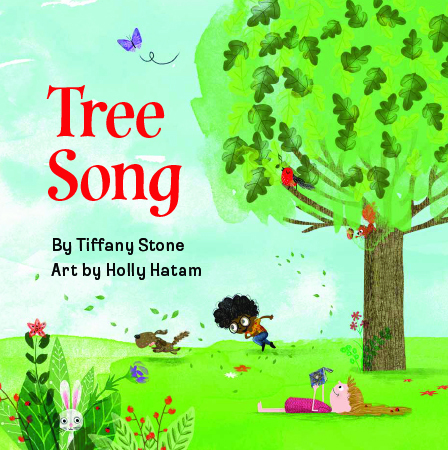 Holly Hatam, illustrator of Tree Song, will be signing in the Ontario Book Publishers Pavilion on Thursday at 12:00 PM. This joyful book follows the life cycle of a tree as it grows from seedling to mature tree, and finally gives way to a new sapling. At every stage of the tree’s life, children are seen playing under its branches. A perfect introduction to nature’s life cycles.